So I’ve gone back and forth and back and forth on this blog and 30x as much in private about Tristan’s blankets and sheets – what he would need this winter now that we know he needs some blankets, what to use, when to use them, what blankets to buy. I’ve had a dozen different solid plans that I’ve moved on and then discarded. Here’s what has emerged as our plan heading into winter. 1. Stable Sheet. 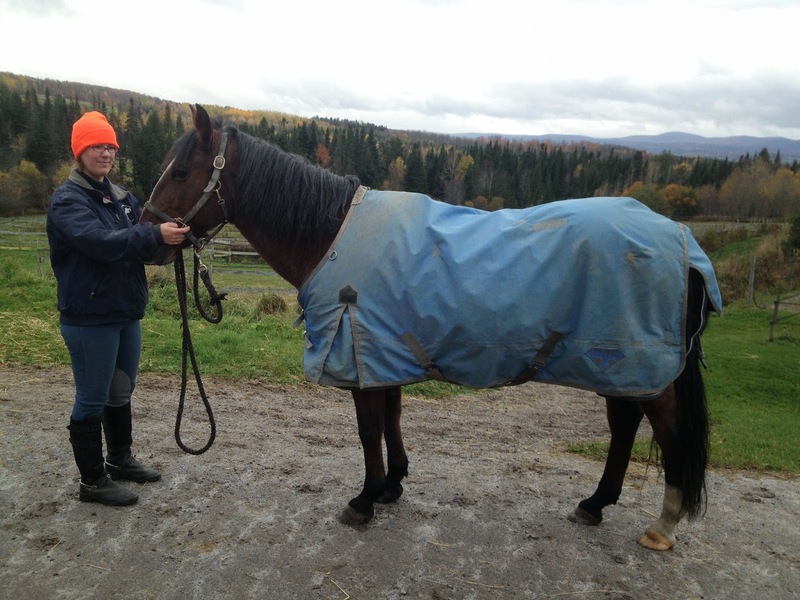 Used sometimes as a straight sheet in the barn (40s-50s), or as a liner underneath a turnout sheet. Tristan’s is a Tuff Rider brand stable sheet that I’ve owned for a few years but used primarily to keep him clean after baths until now. It’s not the highest quality sheet ever and its a teensy bit small, but it does the job. Basically a previous style year version of this sheet. 2. Fleece cooler. Used on its own sometimes (low 40s, high 30s in the barn) but mostly as a liner for a turnout sheet to create a sort of light-fill blanket. Now, I had a previous fleece cooler, but I bought this one new this year because the previous cooler did not have a belly band. This one does. It’s the Smartpak Fleece Cooler. I like some things about it a lot (styling, straps, length, and overall cut) and other things not at all (it’s long for the size and the back gather is awkward, and there’s no fleece at the withers to prevent rubs). 3. Turnout sheet. Unlined, basic, waterproof turnout sheet to use as a top layer over the sheet and cooler above, or sometimes on its own on a rainy but warmer day. This particular sheet has the distinction of being the one I’ve owned the longest for him: I used to keep him at a place that had the most incredible clay deposits in their pastures, and all horses in that barn went out during mud season in turnout sheets. Otherwise you’d be currying dried clay off of them for an hour before you could ride. It’s a Saxon that I’ve always really liked, actually, for all that it’s a “cheap” sheet. Basically the older model of this sheet. 4. Stable Blanket. One of the two blankets my friend J. gave to me, this will enter the rotation when it’s 30s overnight and during the day, under a turnout sheet. I have no idea what brand it is, but I like a few things about it: the cut back withers, the belly band (which you can’t quite see in this photo), and actually the closed front – less to fiddle with, less bulk under another blanket. 5. 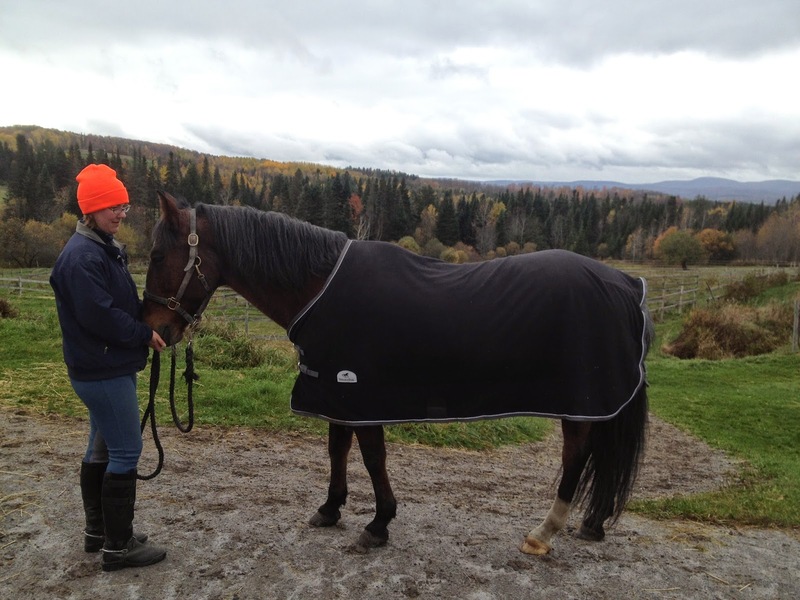 Medium Weight Turnout Blanket. 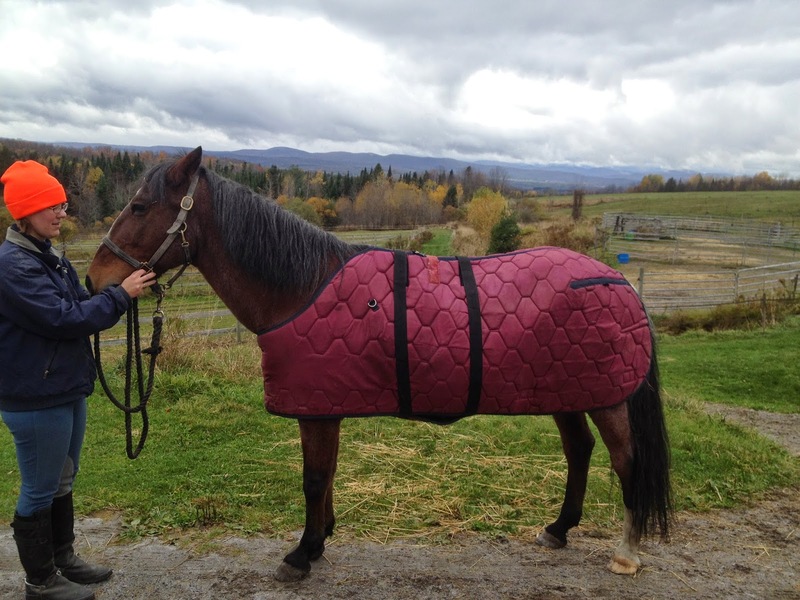 Used for temps below 30s, possibly combined with the stable blanket when it gets down to the teens. The other blanket J. gave me, this is a Weatherbeeta that is clearly showing its age. The straps – as you can see – are hanging on, and the edging is almost entirely gone. There are rips in the flannel lining. That said, this blanket has been hard used for many years and the fact that it’s even still intact shows its class. 6. 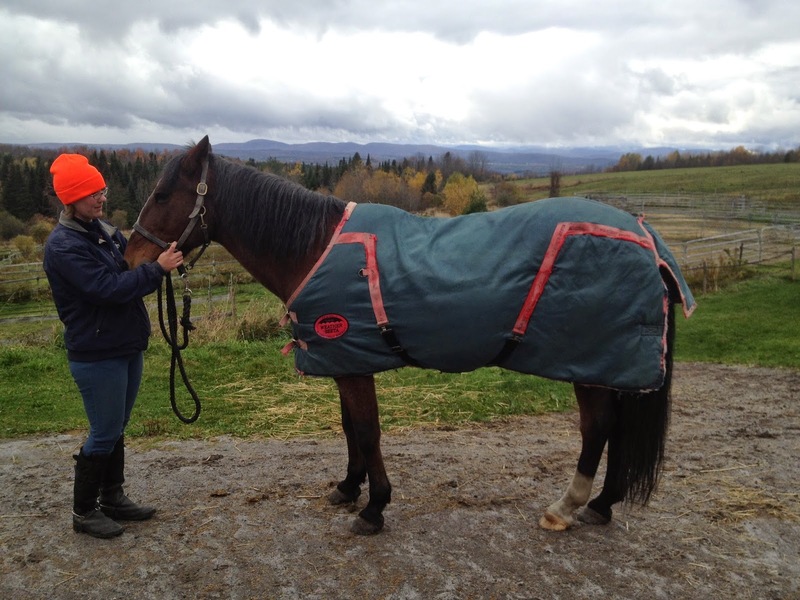 Heavy weight turnout blanket. Used for single digits and below. 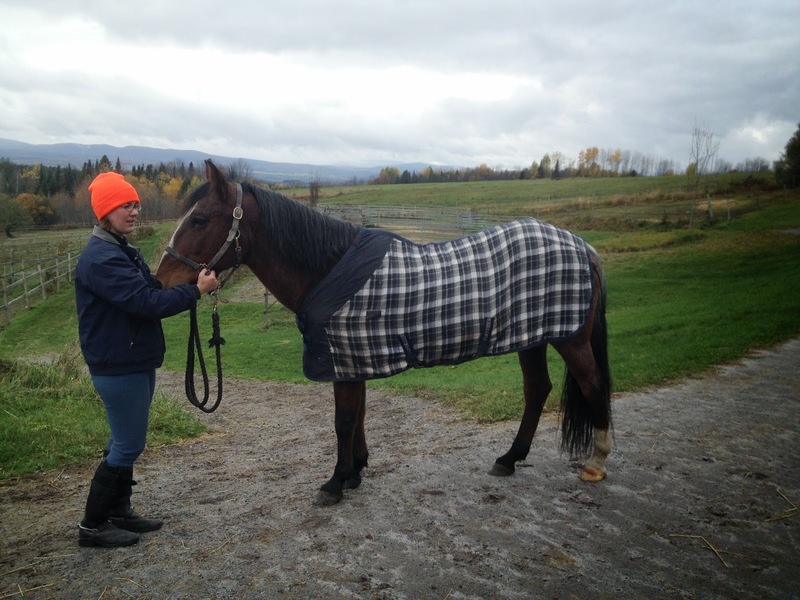 Depending on how he handles the winter, might double over the stable blanket when it really starts to dip below zero. This is the blanket he wore last year for single digits and lower. 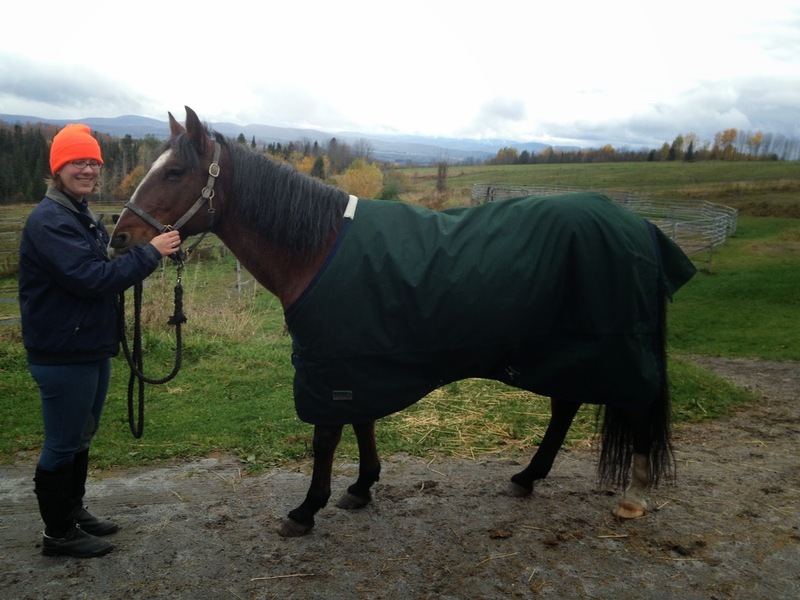 Another gift from a very generous friend, this is the Rider’s International Heavyweight Turnout Blanket. As you can see, it’s a great blanket but it swims on him a bit – it’s a size too large, and the cut of the blanket is too long for his legs. Not the end of the world, but I would not buy this blanket new, even in the right size, because of the length against his legs. So, there’s the plan, anyway. What’s your rotation for the winter? The plaid is my favorite! My plan for blanketing: to look at the blankets hung up in the tack room and be grateful that no one will need them until the wet weather in spring after Shaughnessy has started to shed out. then she will need to be blanketed for a handful of days. I am lazy ;).